It pains me to write this, but I'm a firm supporter of science, and apparently some scientists think cockroach milk crystals could be a superfood of the future. Specifically, a team of scientists recently sequenced a protein found in the gut of cockroaches that is four times as nutritious as cow's milk. In a world increasingly challenged by a growing population that greatly taxes our ecosystem for food, something with that magnitude of nutritional value could be a major breakthrough. If humans can stomach it, it could play a key role in feeding humankind. In a sense we deserve this bug-laden future. We waste of lot of food; in the United States, some 40% of food is wasted. Worse yet, a recent study found that most Americans are unwilling to change their behavior to waste less food even though they know it's bad for the environment and they feel some degree of guilt about that. Across the planet, hundreds of millions of people survive on a subsistence diet and suffer the many ills associated with malnutrition. According to the United Nations, there are 795 million undernourished people in the world today, meaning that one in nine people "do not get enough food to be healthy and lead an active life." For these people—and many cultures are already OK with the idea of eating bugs—a high-calorie, fatty addition to their diet like cockroach milk crystals could actually provide quite the benefit. "The crystals are like a complete food—they have proteins, fats and sugars. If you look into the protein sequences, they have all the essential amino acids," Sanchari Banerjee, one of the main authors of the paper published in July in the International Union of Crystallography's journal, told the Times of India. "If you need food that is calorifically high, that is time released and food that is complete. This is it." There are still many hurdles to reaching the reality in which cockroach milk is a common milk alternative. 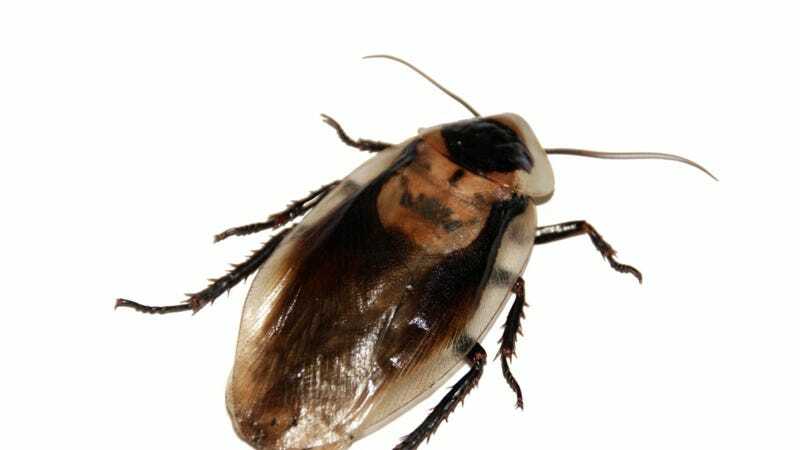 For one, harvesting large amounts of cockroach milk crystals from the only kind of cockroach known to give birth to live young, the Pacific beetle cockroach (Diploptera punctate), is unrealistic. This cockroach, which lives along Asia's Pacific rim, lactates to provide nutrition to its young just like mammals do. Subramanian Ramaswamy, a biochemist at the Institute for Stem Cell Biology and Regenerative Medicine in Bangalore, India, told The Washington Post that he could see the milk crystals being used in things like protein shakes. He also said that if the cockroach milk were to ever hit the mainstream, it would likely come from yeast, which is already being bioengineered to produce things like synthetic sweeteners. It also needs to be determined if the roach crystals are at all toxic to humans. I can't say that I hope they aren't. I'm still adjusting to the idea of eating crickets and mealworms.